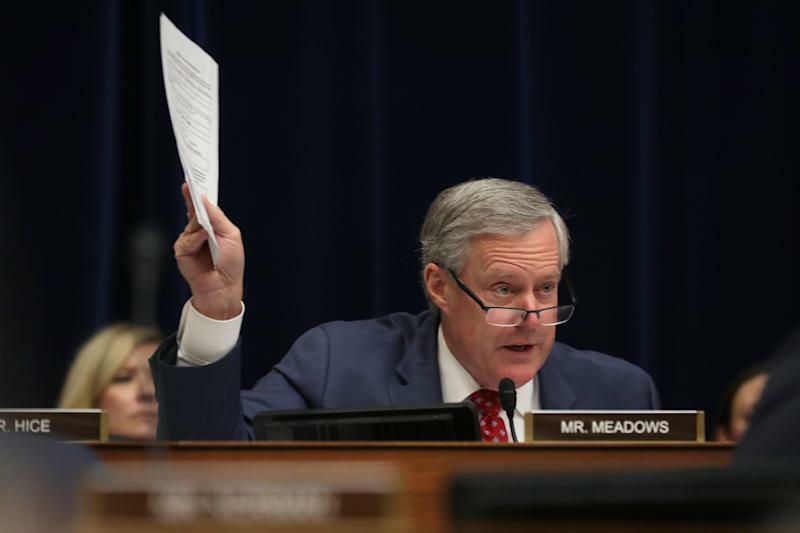 Attempting to discredit Michael Cohen’s testimony to the House Oversight Committee, Rep. Mark Meadows accused him of lying on a form he filled out in preparation for his appearance Wednesday. But Meadows’s questions appeared to be based on a misreading of the congressional Truth in Testimony form. Meadows, a Republican from North Carolina, attempted to prove that Cohen, President Trump’s former attorney, had perjured himself by omitting from the form work he had done with foreign businesses while working for Trump. Meadows brought it up earlier in the hearing and again when time was yielded to him. But Meadows’s attack was apparently based on a misreading of the Truth in Testimony form, which reads in part, "If you are a non-governmental witness, please list any contracts or payments originating with a foreign government and related to the hearing's subject matter that you or the organization(s) you represent at this hearing received in the current year and previous two calendar years." Cohen qualifies as a nongovernmental witness, and even Meadows conceded he had no contracts with a foreign government. A few minutes later, Rep. Katie Hill, D-Calif., pointed out Meadows’s error. Rep. Chip Roy, R-Texas, turned to face Meadows after Hill’s statement, and a camera caught Meadows winking at him. After a second recess, Rep. Elijah Cummings, the Democratic chairman of the Oversight Committee, conferred with Cohen, Meadows and Rep. Jim Jordan, R-Oh., about the forms. Cohen said after consulting with his attorneys he felt that his form was still accurate but Meadows and Jordan wanted further inquiry about payments from foreign companies with ties to their government, such as the BTA Bank in Kazakhstan. Cummings said they would work with Cohen to make sure that everyone had the same definition of the terms on the forms. “I said to Mr. Cohen that if he came in here and lied I would nail him to the cross so if there's any ambiguity I want that to be cleared up,” said Cummings. There is a history of Trump associates filling out government forms incorrectly. Jared Kushner, the president’s son-in-law and a White House adviser, has had to repeatedly update his forms to the point that the director of the government’s background check bureau said he had “never seen that level of mistakes.” Three months after those remarks, even more errors were reported. Earlier this year, the Office of Government Ethics ruled that Commerce Secretary Wilbur Ross had violated his ethics agreement by making errors on his 2018 financial disclosure forms.